Anthon Berg Strawberry In Champagne Chocolate covered marzipan. 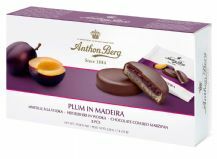 Anthon Berg Plum In Madeira Chocolate covered marzipan. 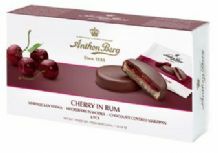 Anthon Berg Cherry In Rum Chocolate covered marzipan. 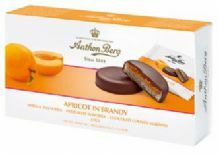 Anthon Berg Apricot In Brandy Chocolate covered marzipan. 16 famous name liqueur chocolate bottles.